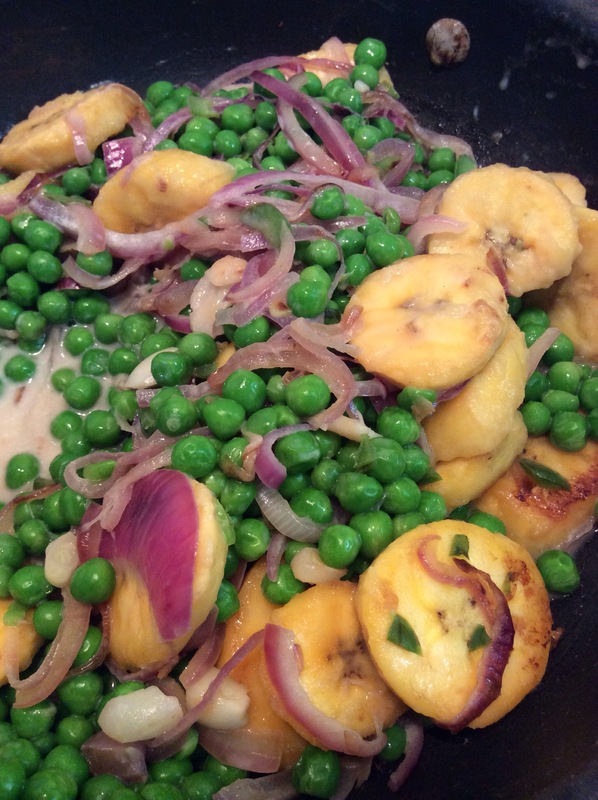 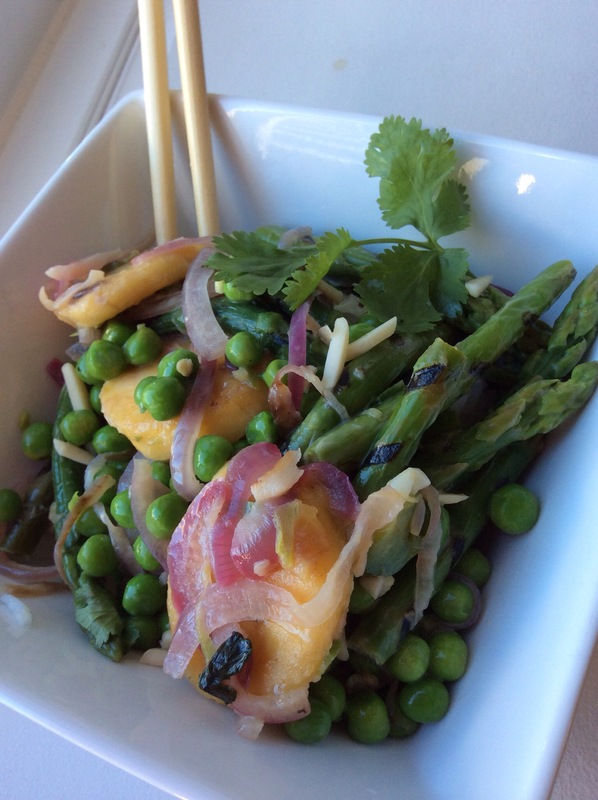 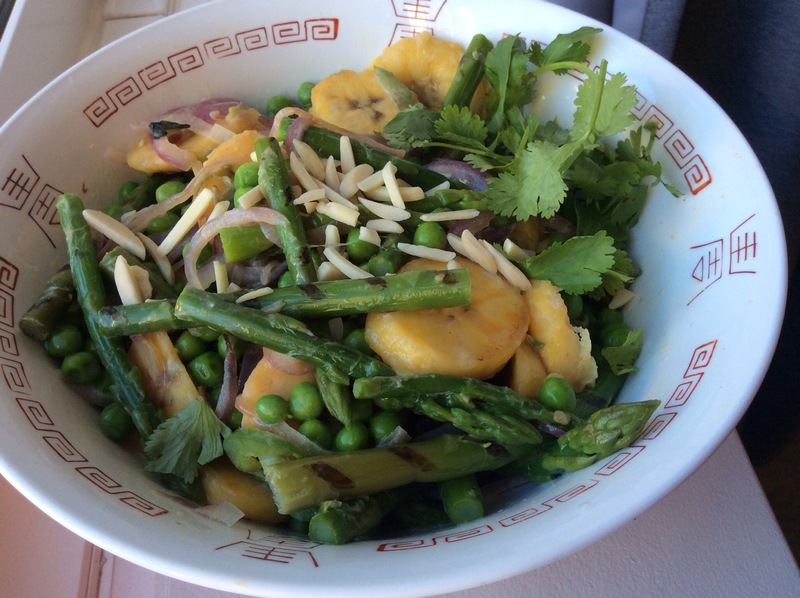 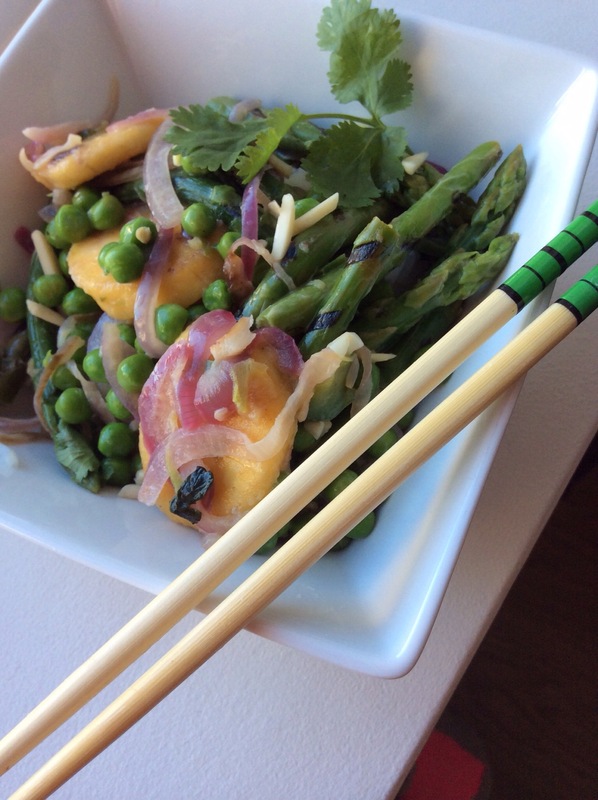 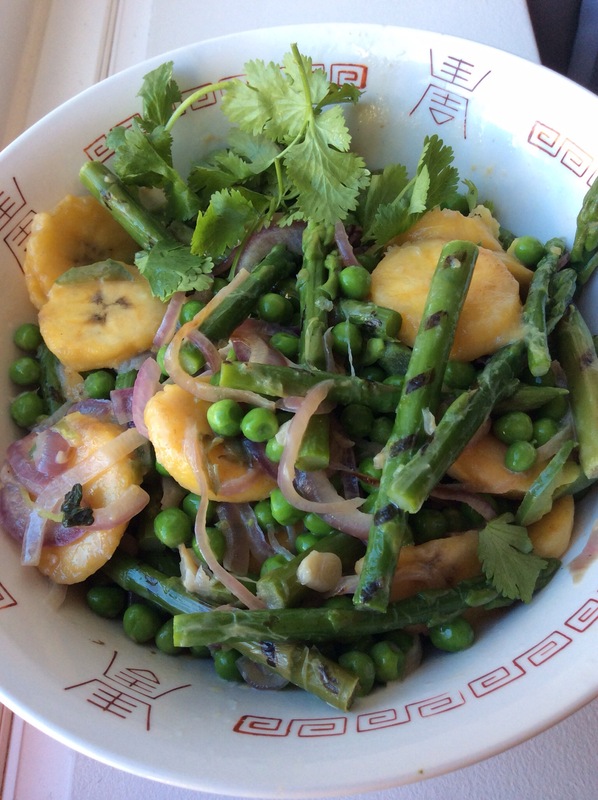 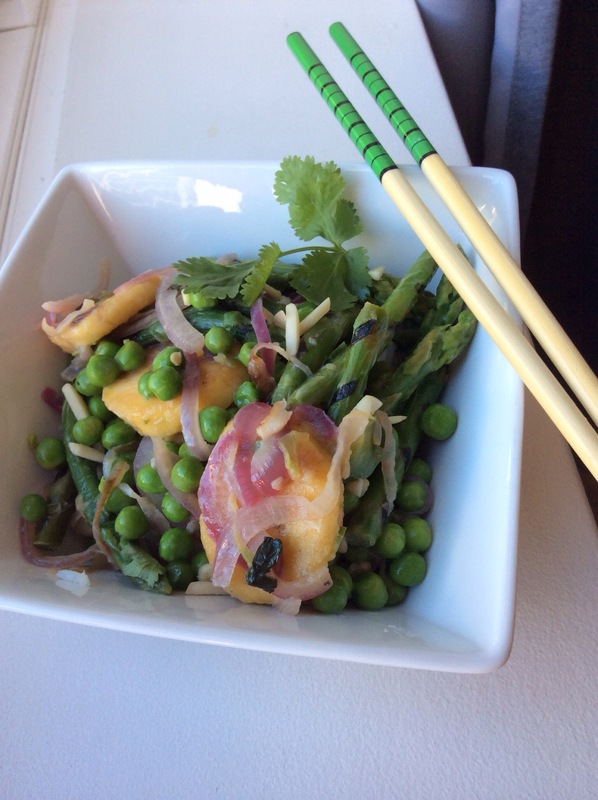 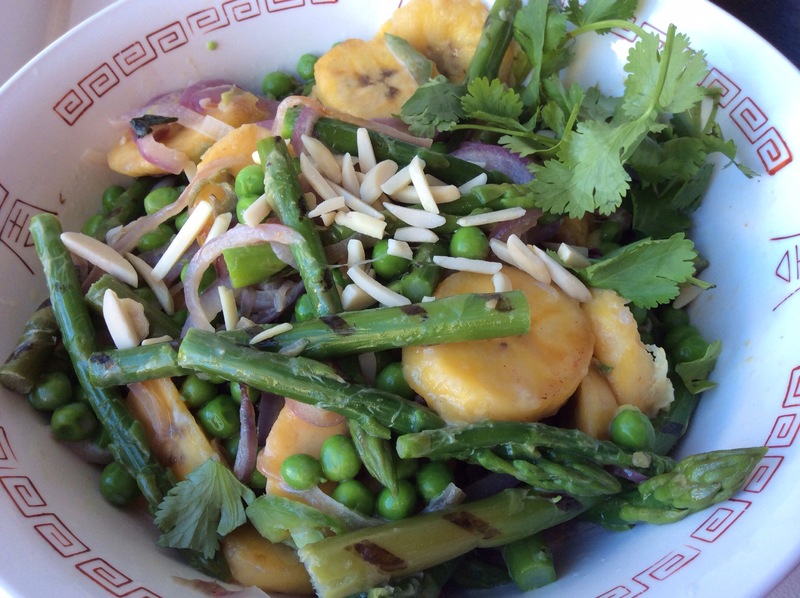 peas, sweet plantains, creamy coconut, tangy lemon, and crisp asparagus! 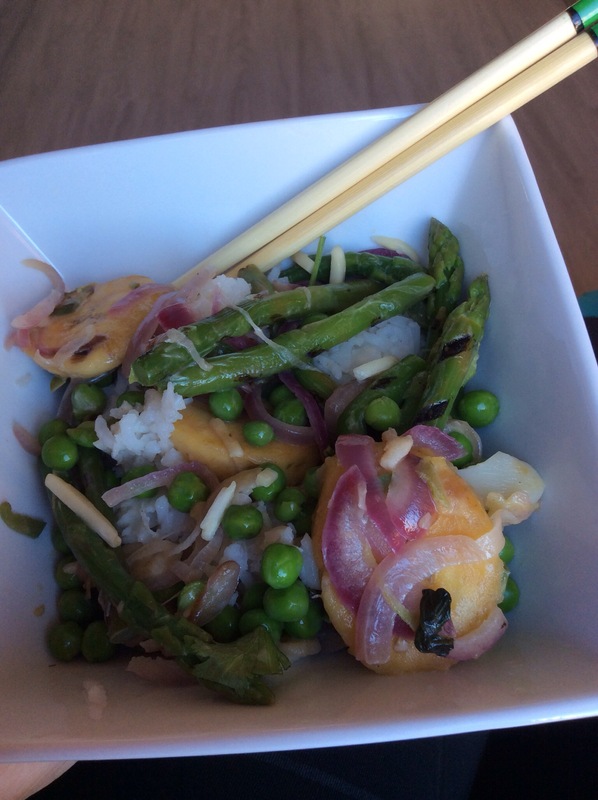 I will be making this again soon! 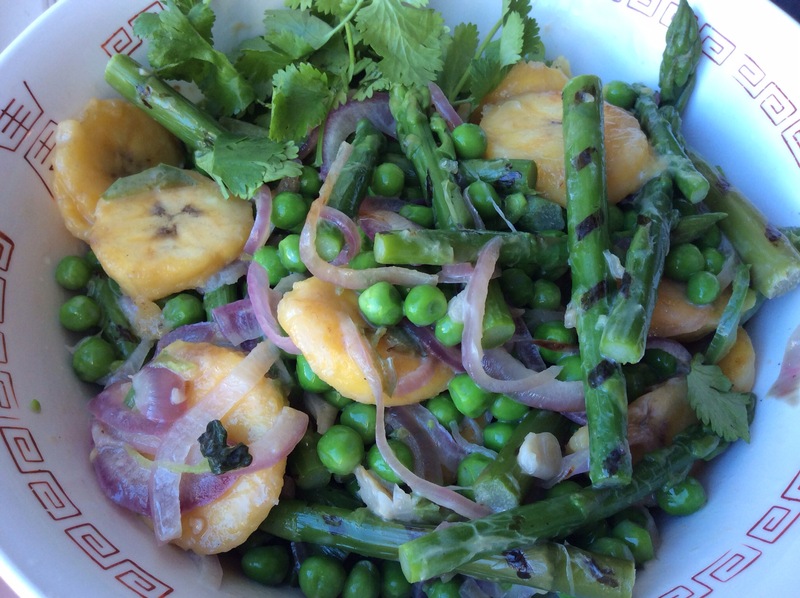 Steam peas and asparagus till crisp, set aside. 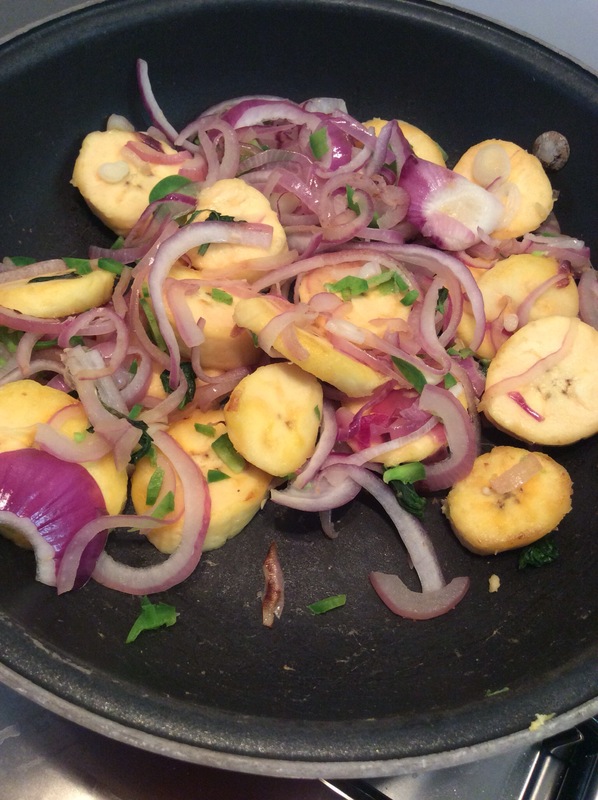 Sauté onion garlic basil in coconut oil, then minced jalapeños and plantains sliced in a bias. 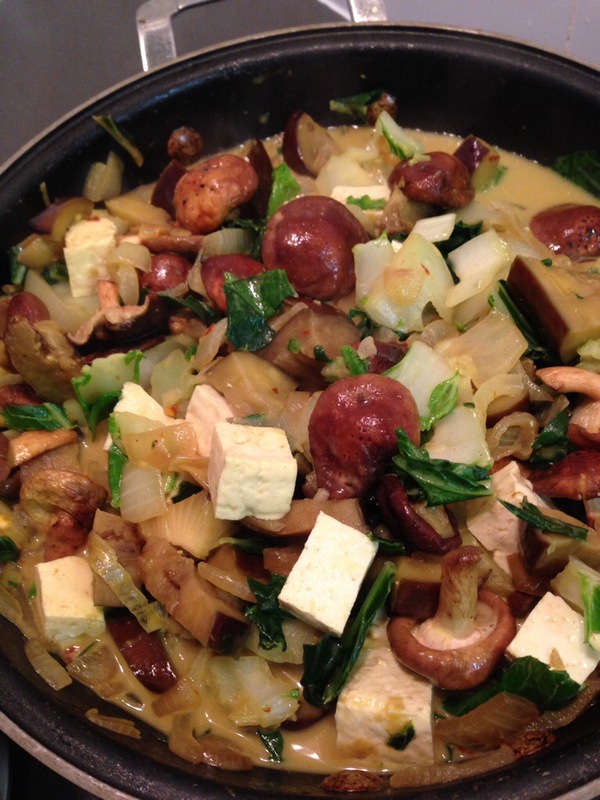 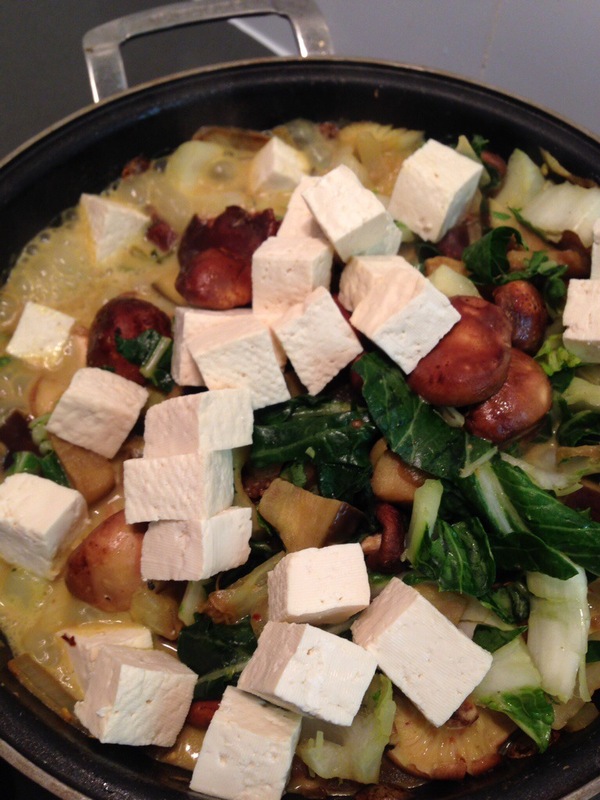 Add veggies and coconut milk to the pan, simmering for a few minutes. 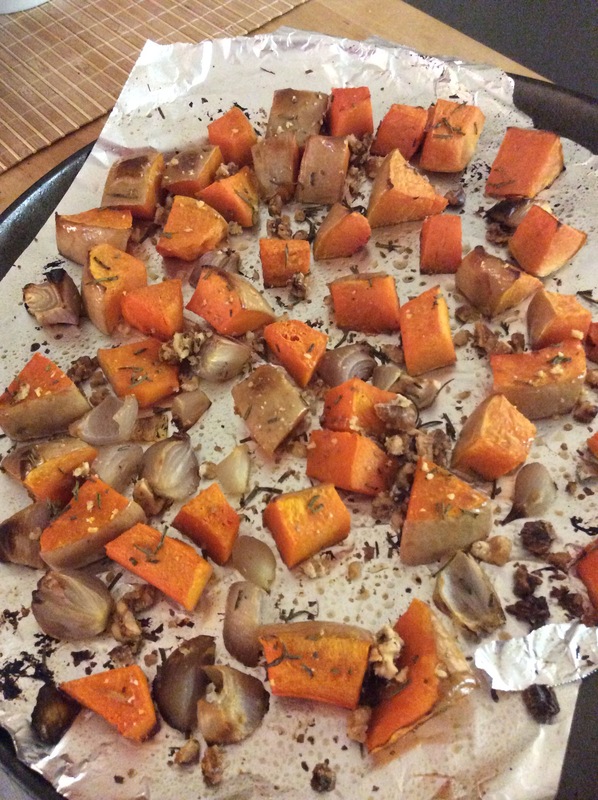 Remove from heat, serve over brown rice or grain of choice, and garnish with lemon juice, cilantro, and slivered almonds! 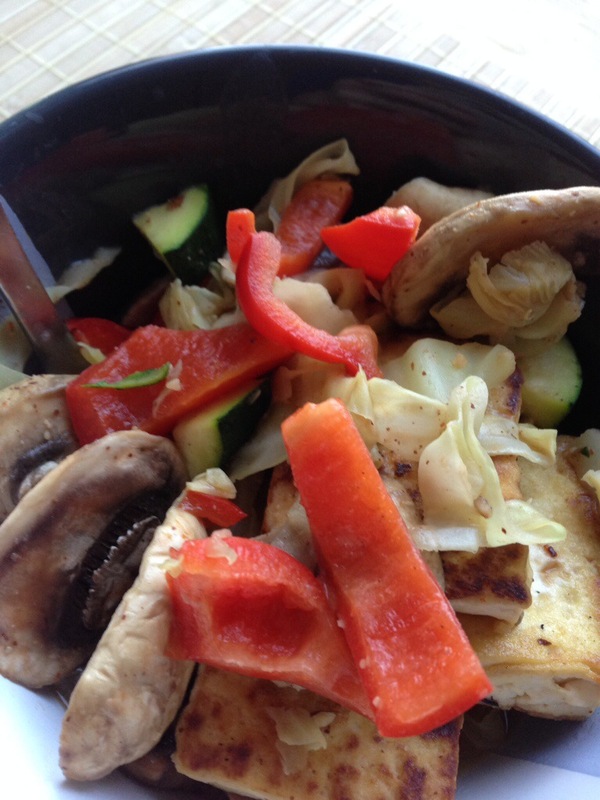 Another take on my favorite stir fry. 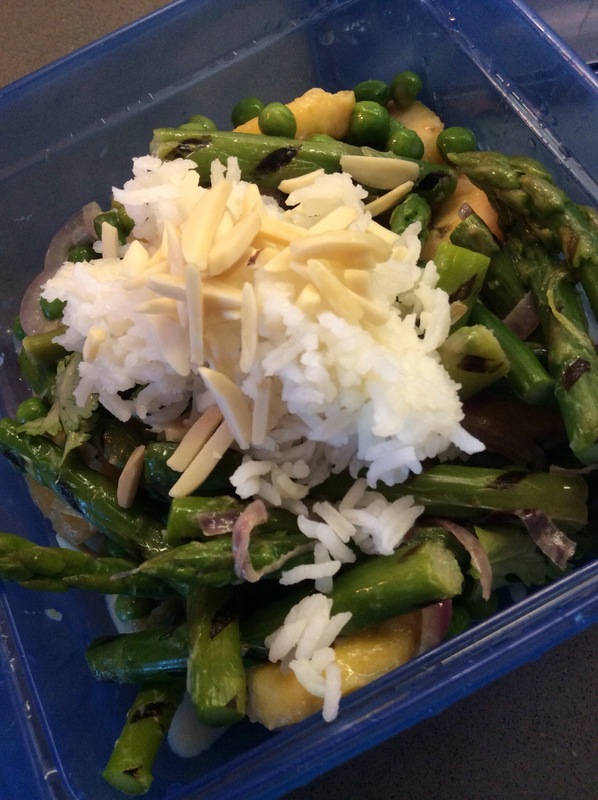 Not as rich as the curry I order at Thai restaurants, but a lighter take for sure. 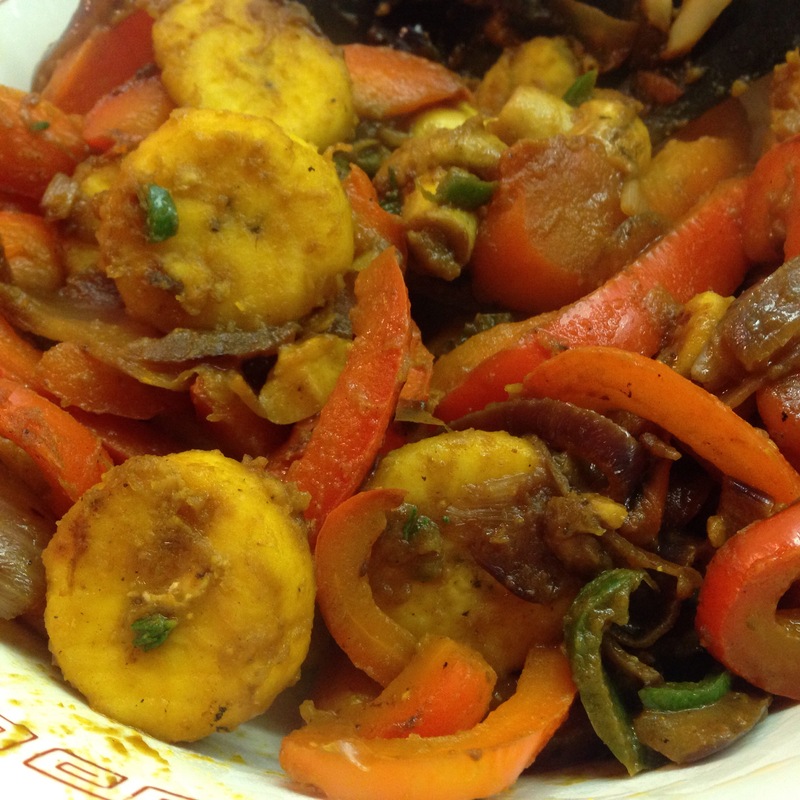 A bit tangier too, yumm! 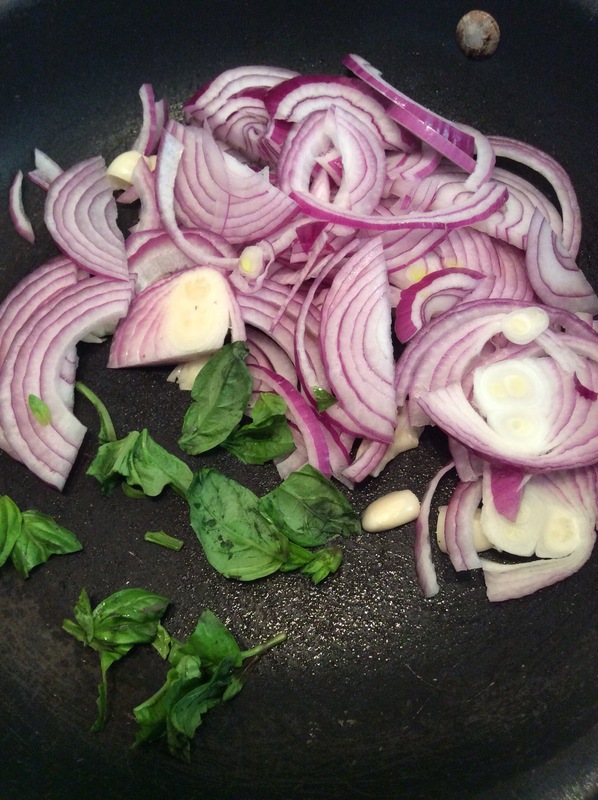 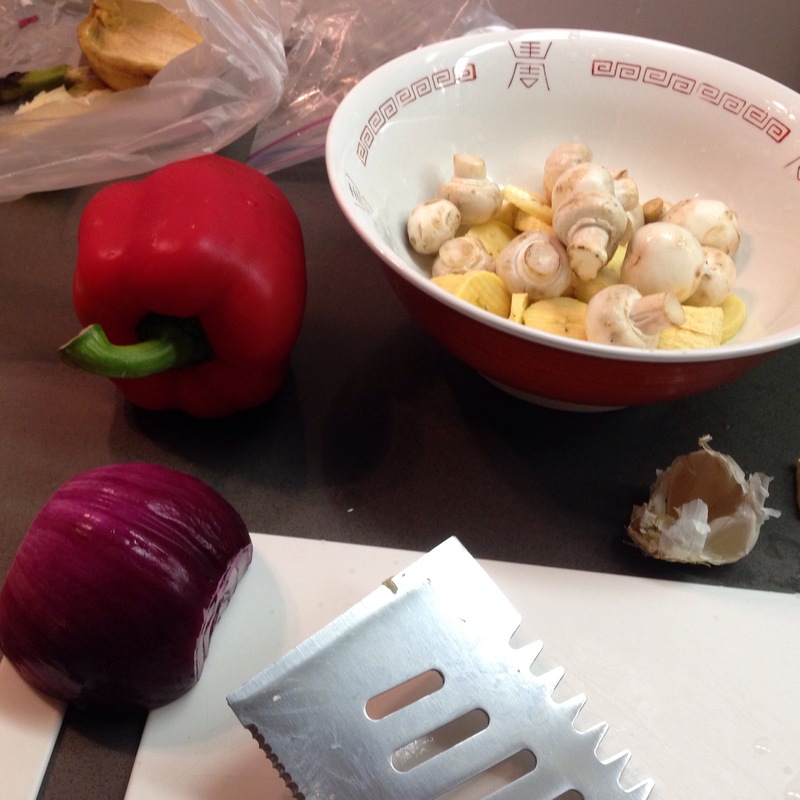 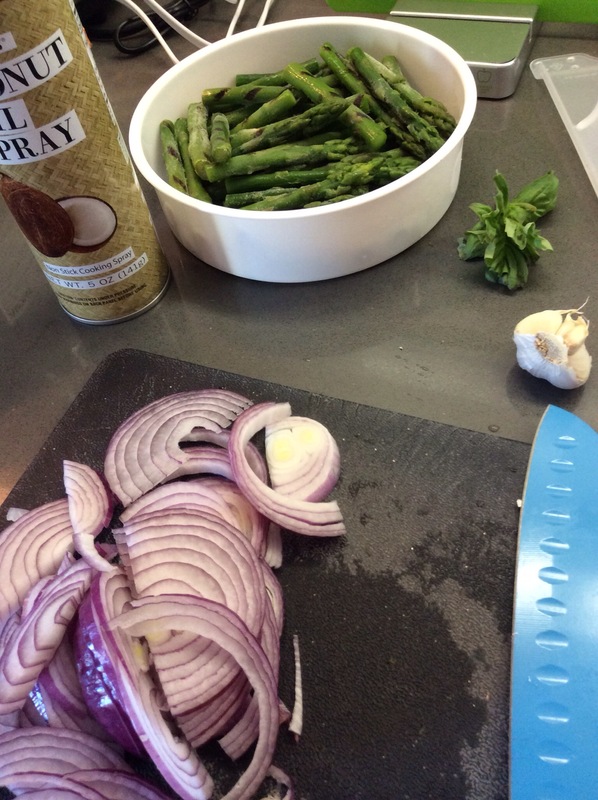 Similar to my bomb stir fry, saute garlic and onions in olive oil or oil of choice. 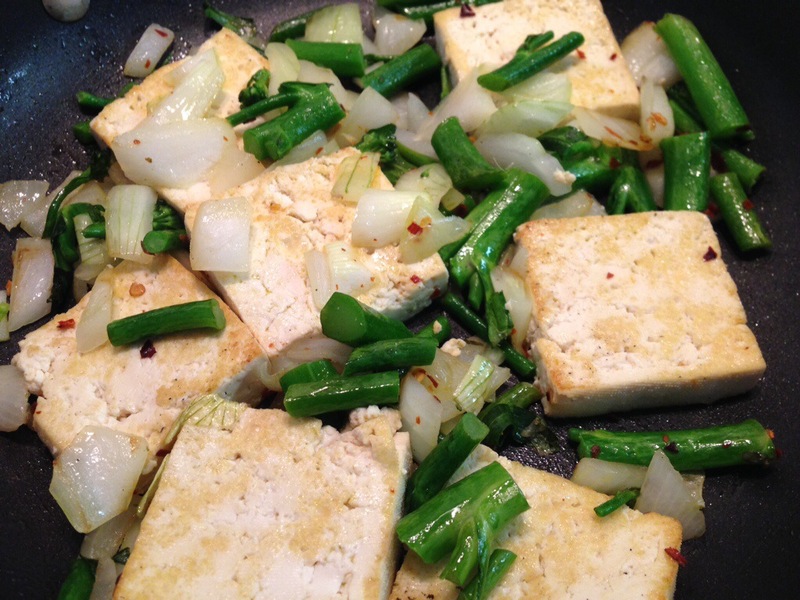 Pan fry tofu cut into 1in cubes. 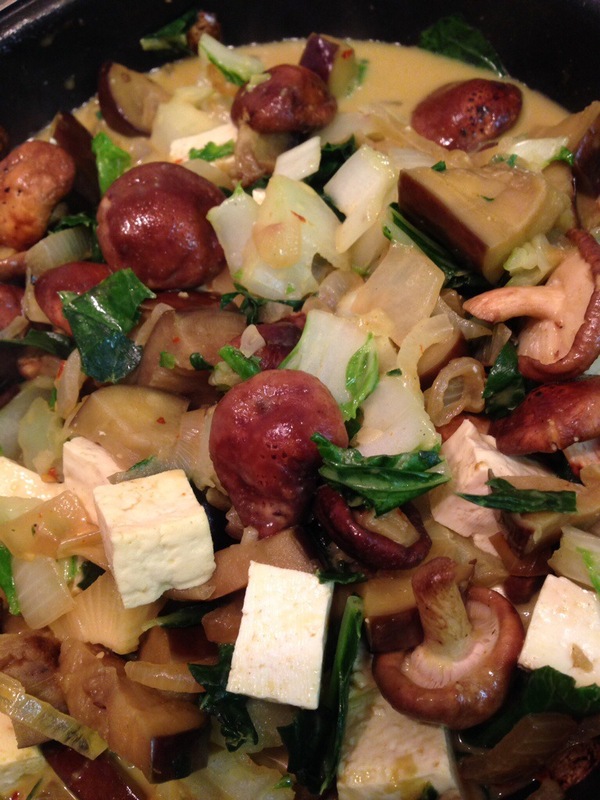 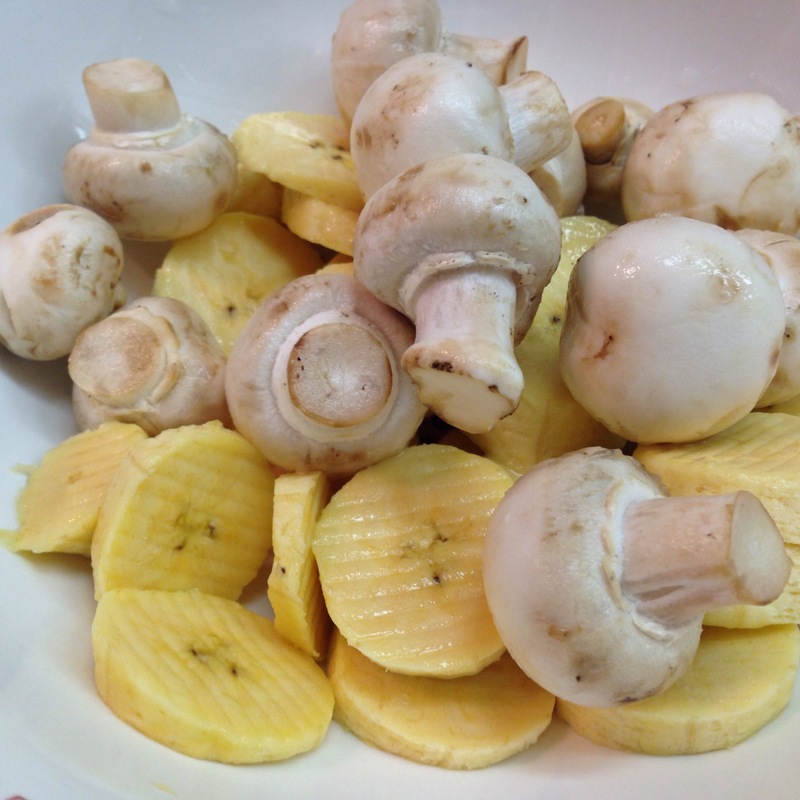 Add sliced eggplant and mushrooms, sautéing. 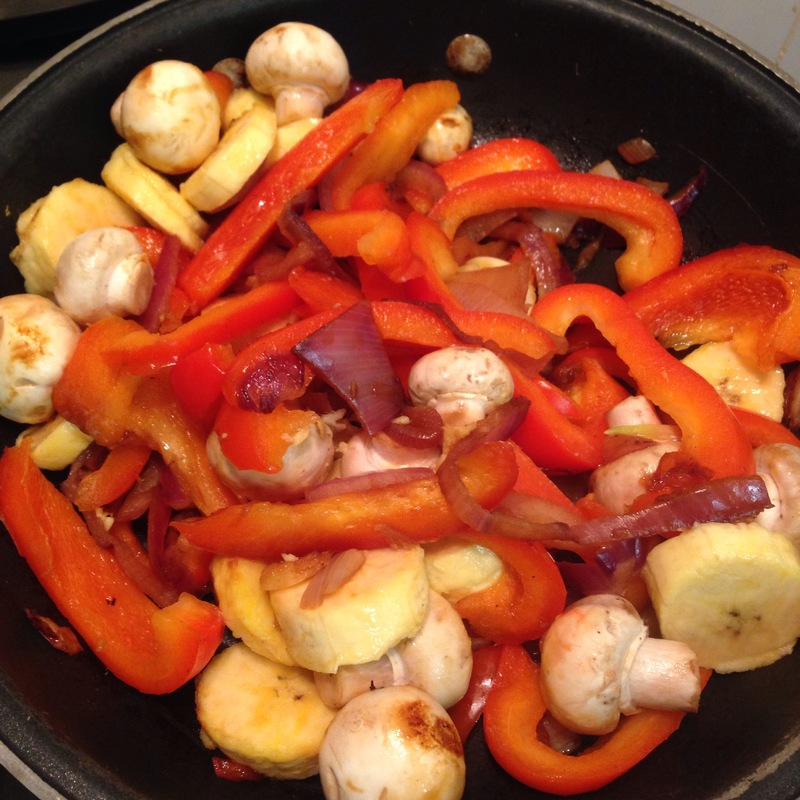 Then add aminos, lemon, spices, coconut milk, and a dash of water. 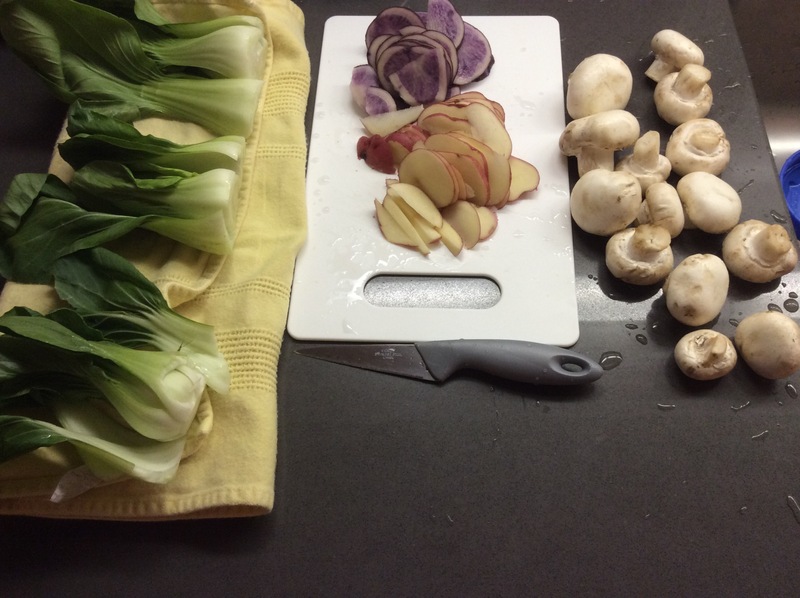 Cut bok choy adding harder stalk pieces first and then the green soft parts at the end. 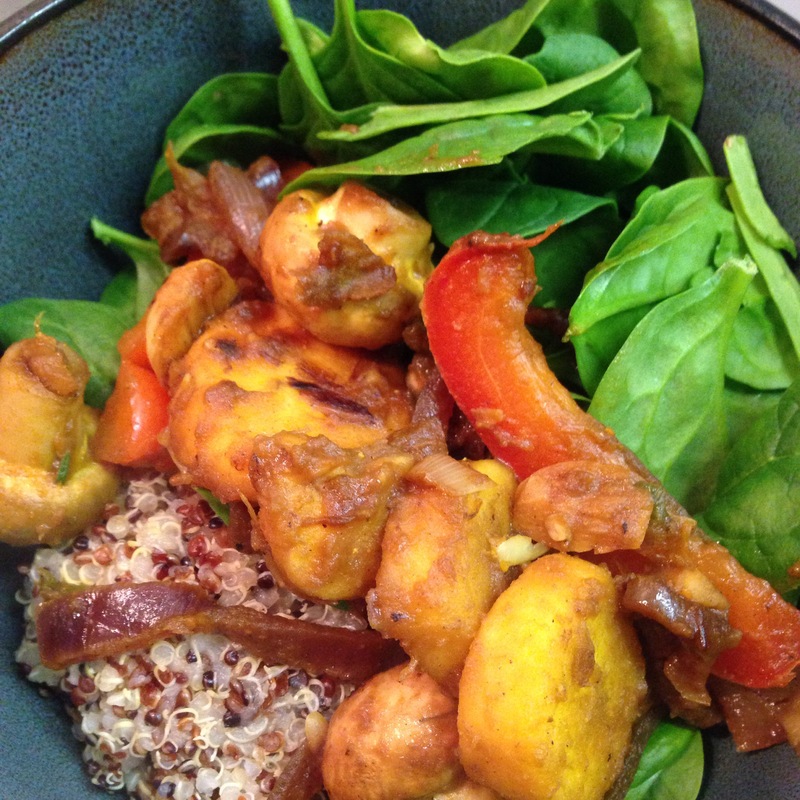 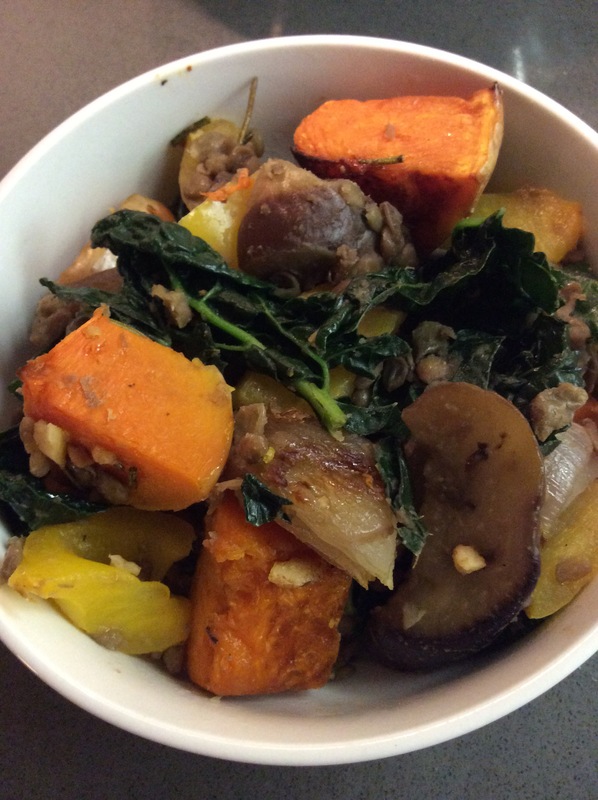 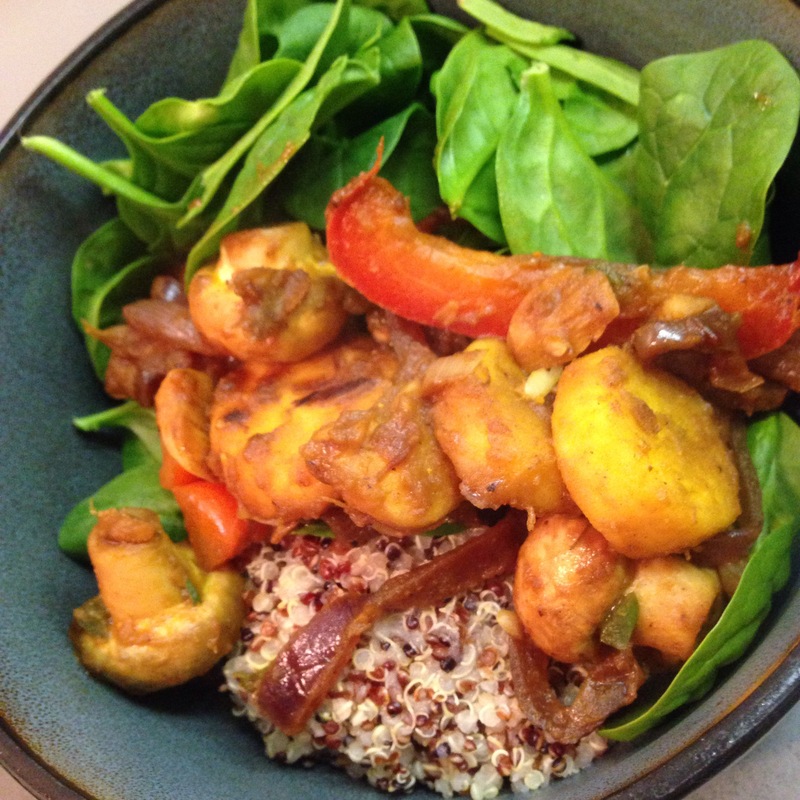 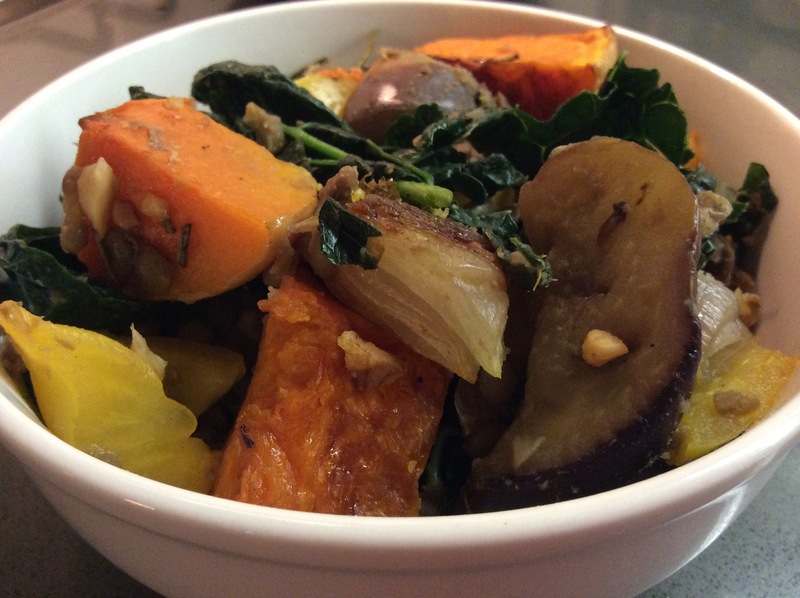 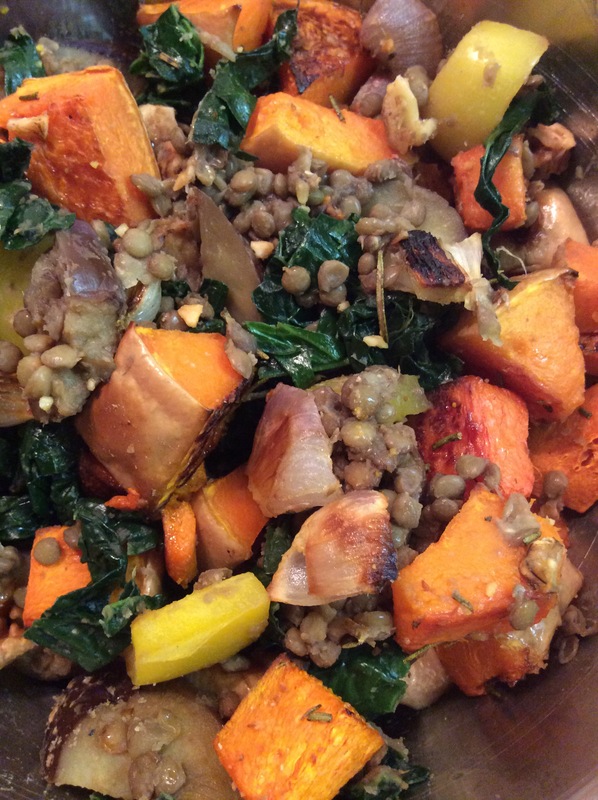 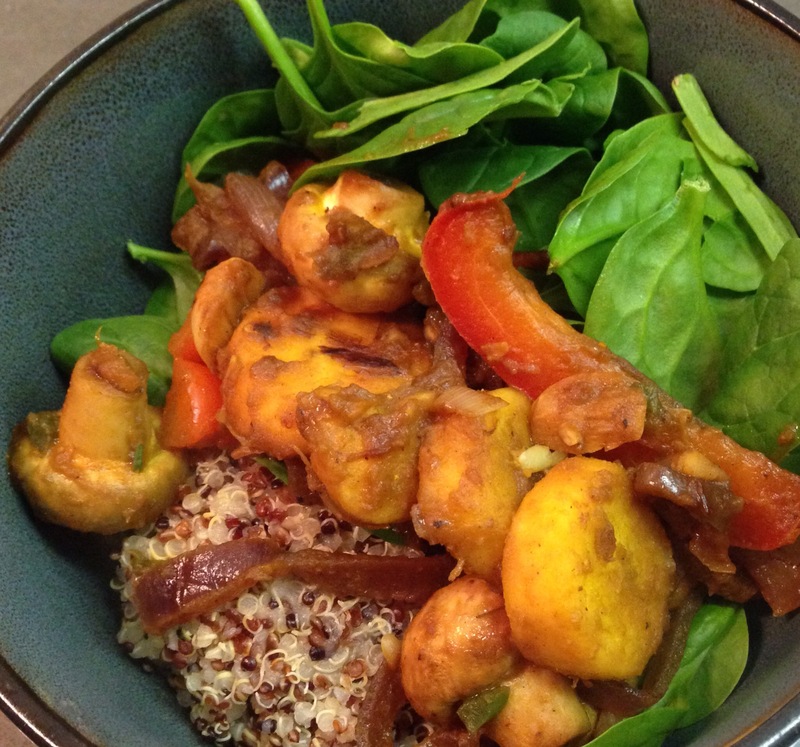 Sautee until veggies are soft to your liking, serve over grain of choice! 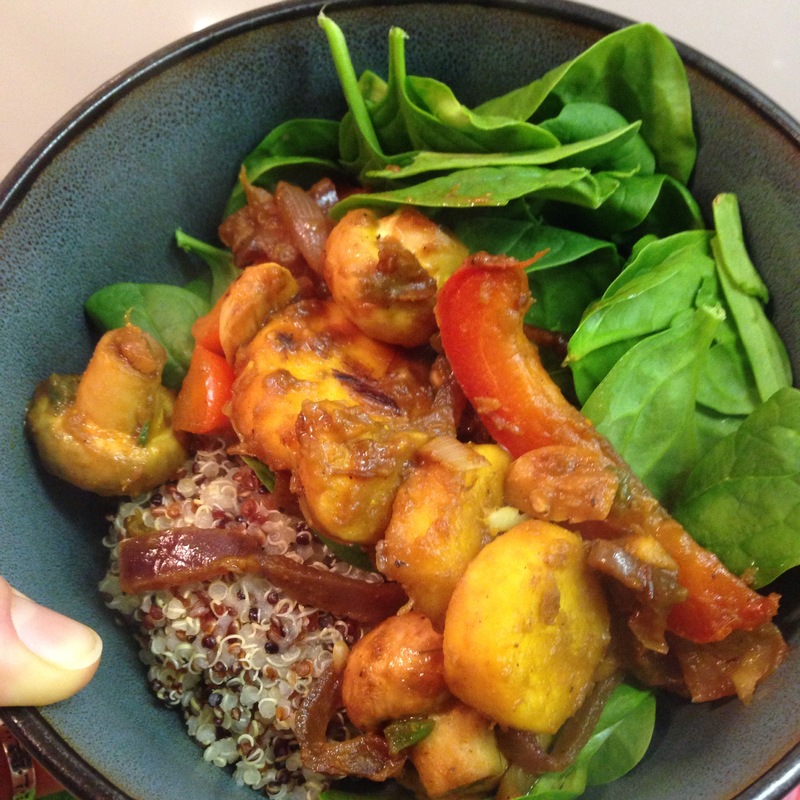 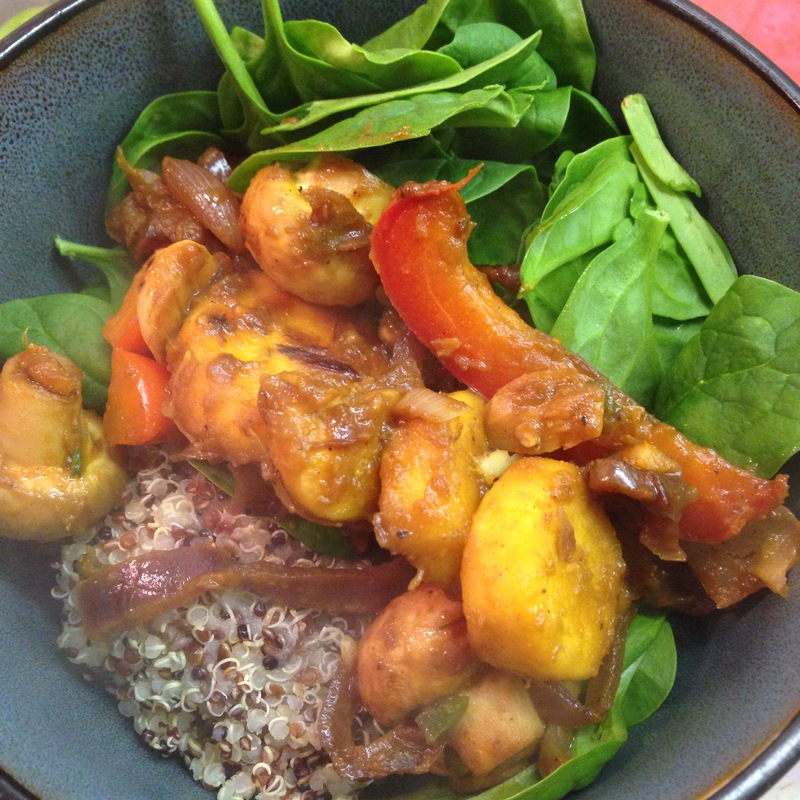 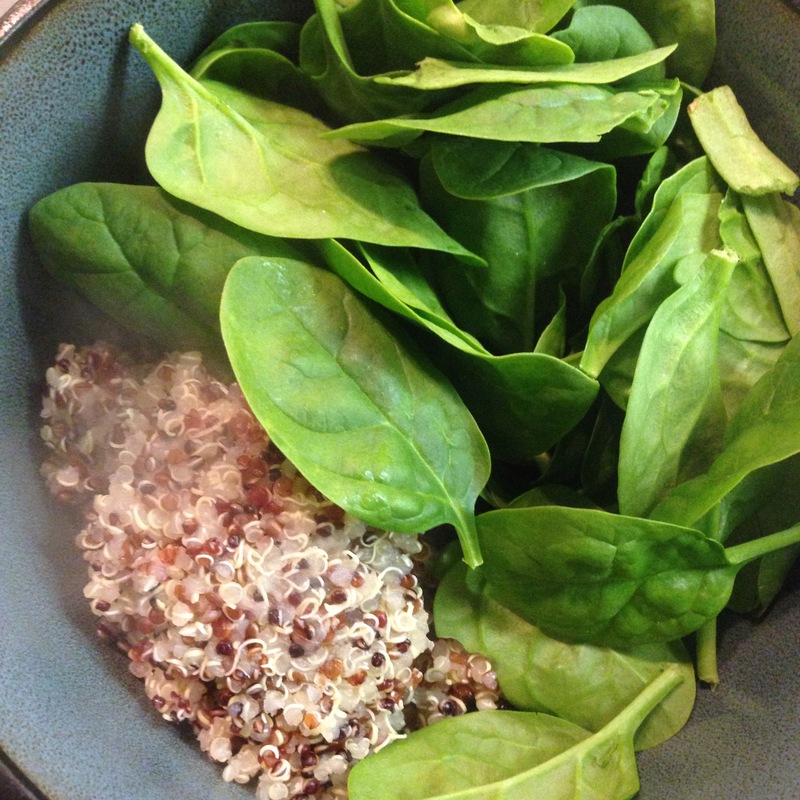 I love to do a medley, combining rice/quinoa/oats/buckwheat/flax, up to you! 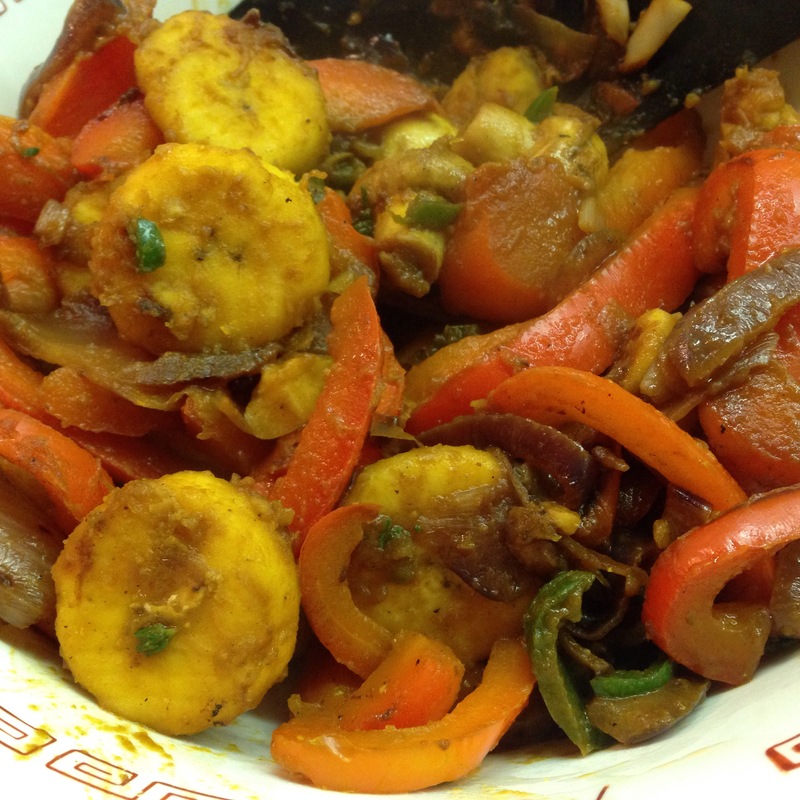 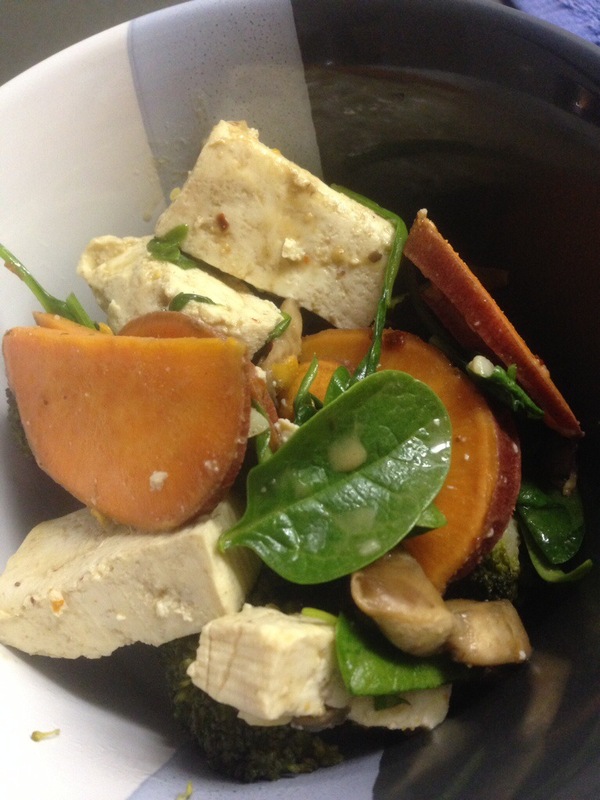 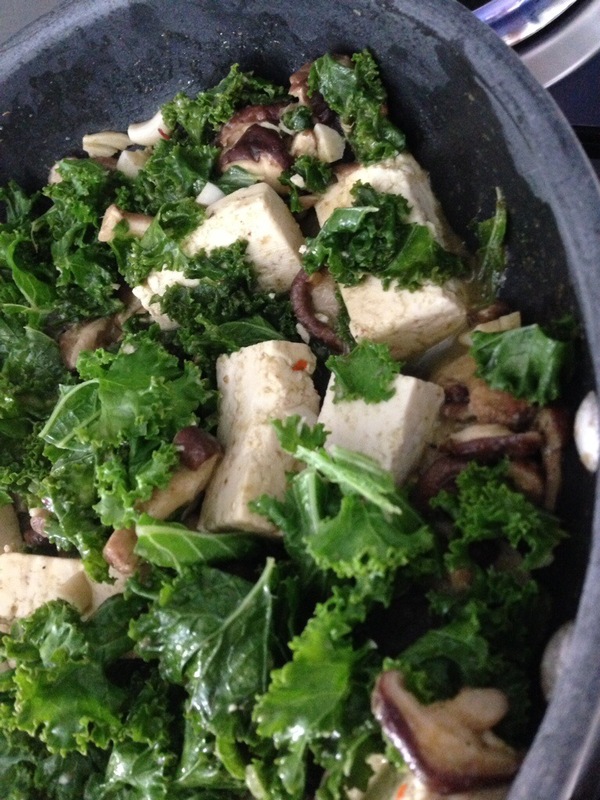 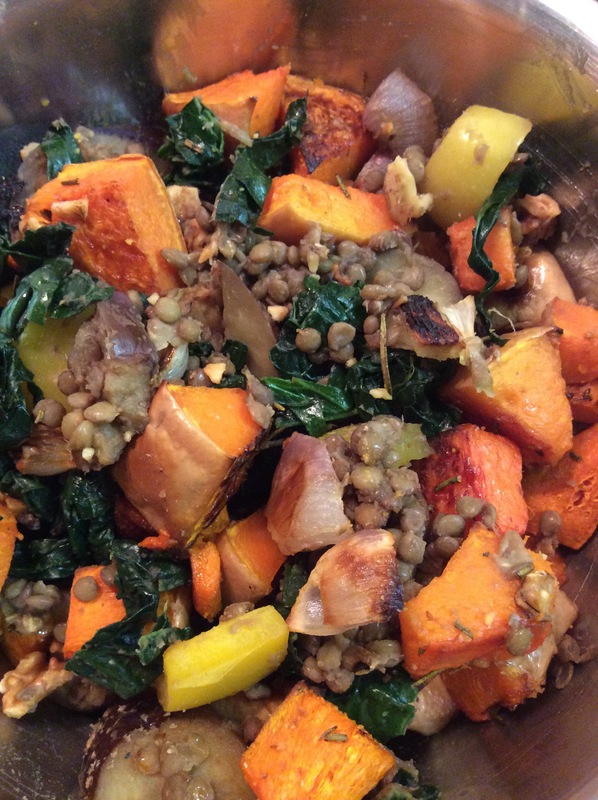 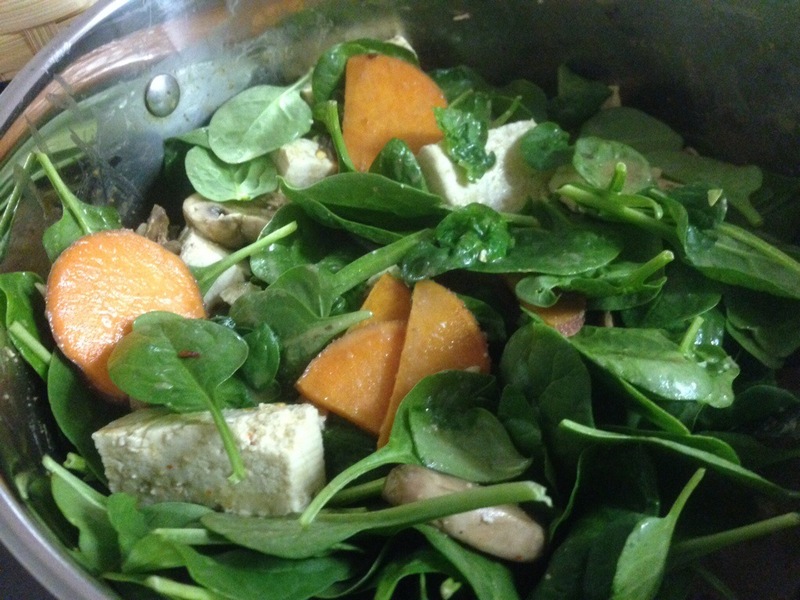 See past entry for recipe, I make this one a lot with a variety of veggies. 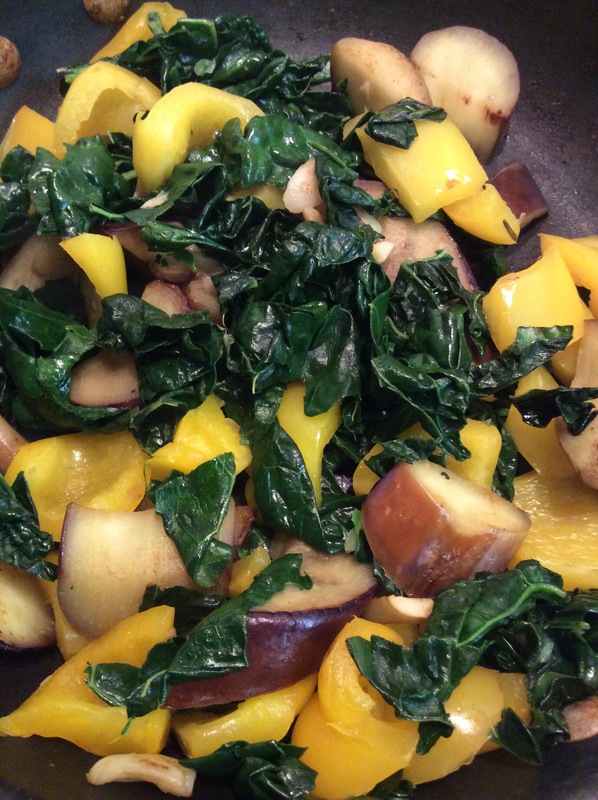 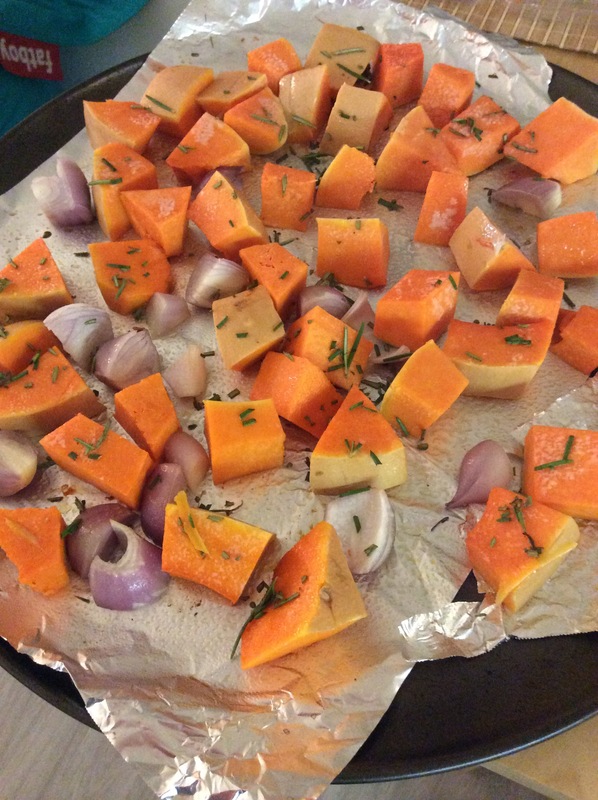 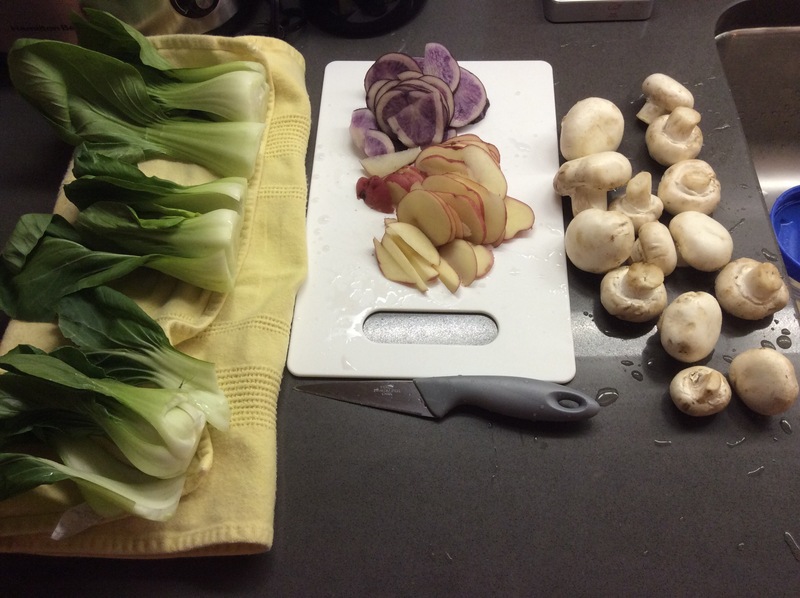 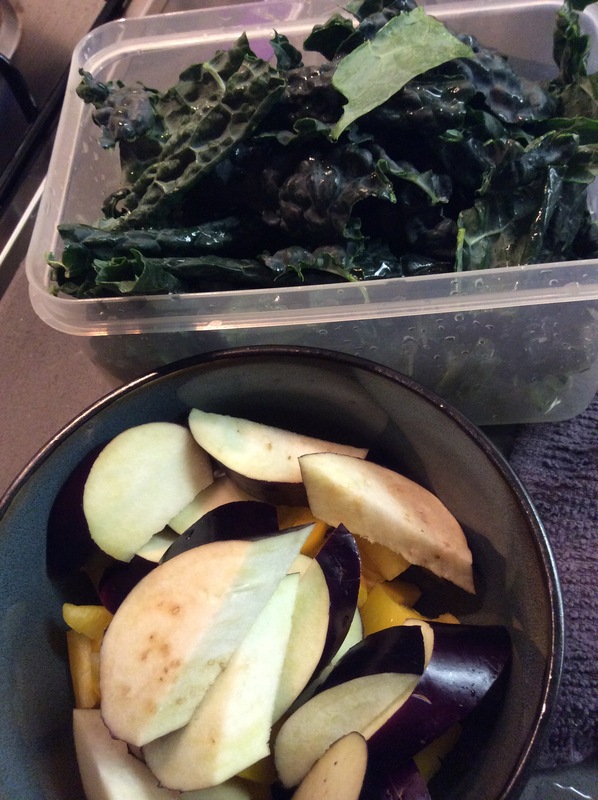 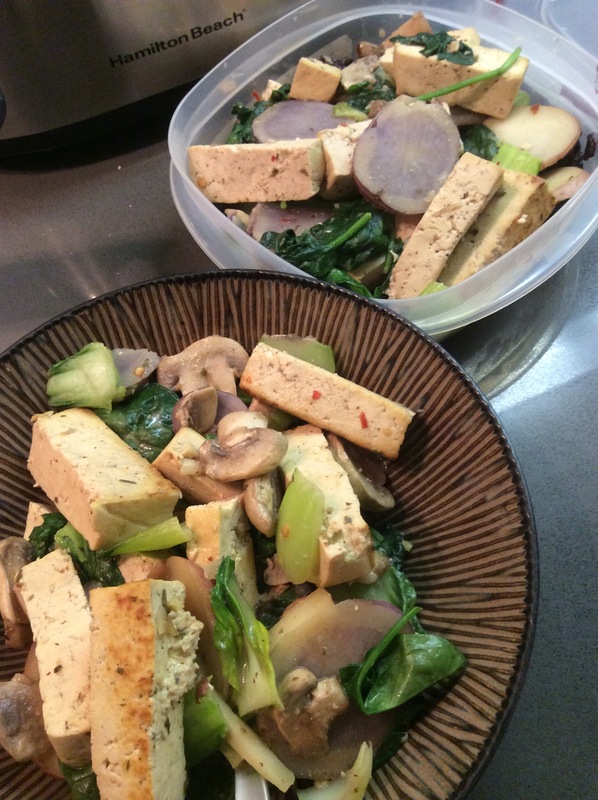 This one day I had baby bok choy and an assortment of colored potatoes instead of my usual sweet potatoes. 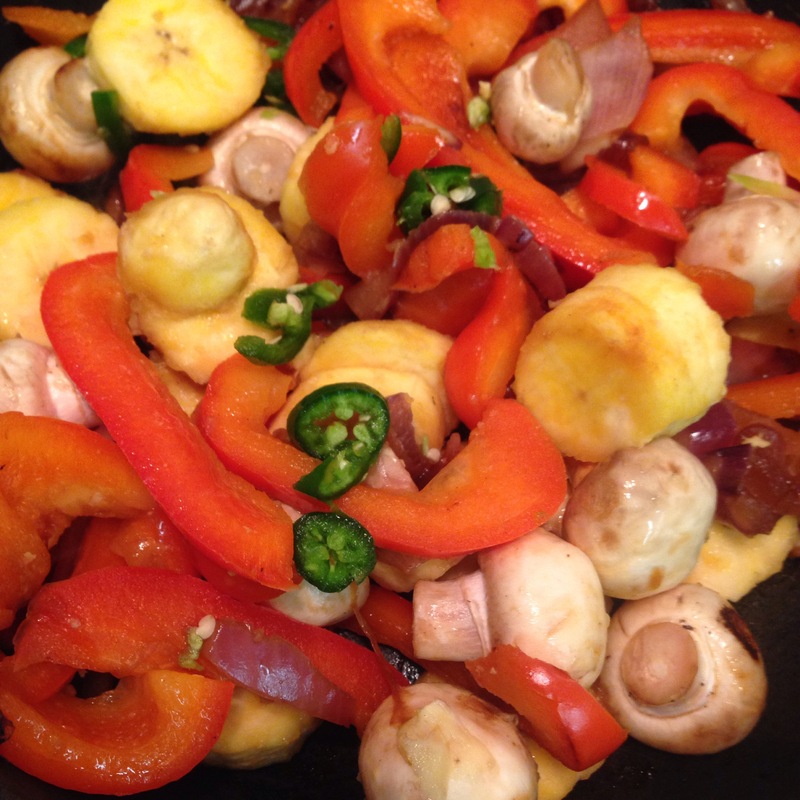 The colors were so wonderful, I had to take some pics 🙂 I make this recipe at least once a week with some modifications. 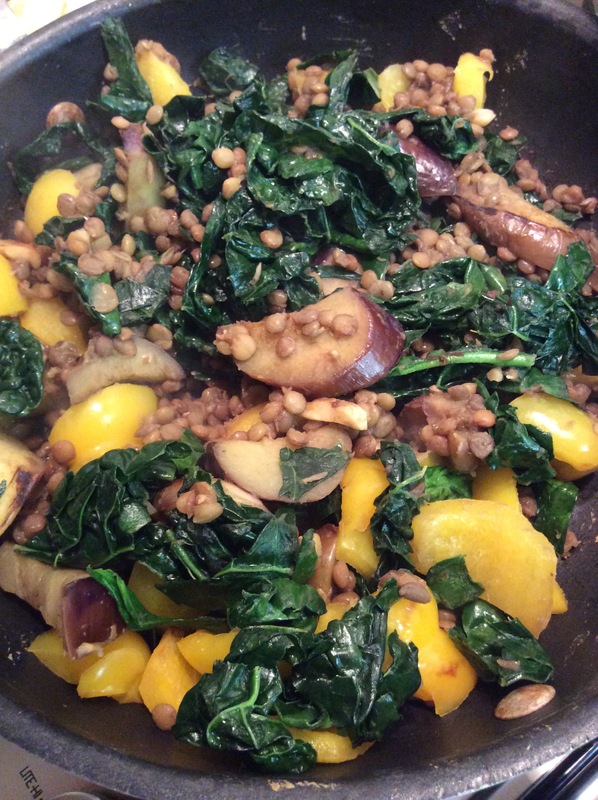 Another day I made black rice 2 parts rice to 1 part green lentils as my base to serve the stir fry over. 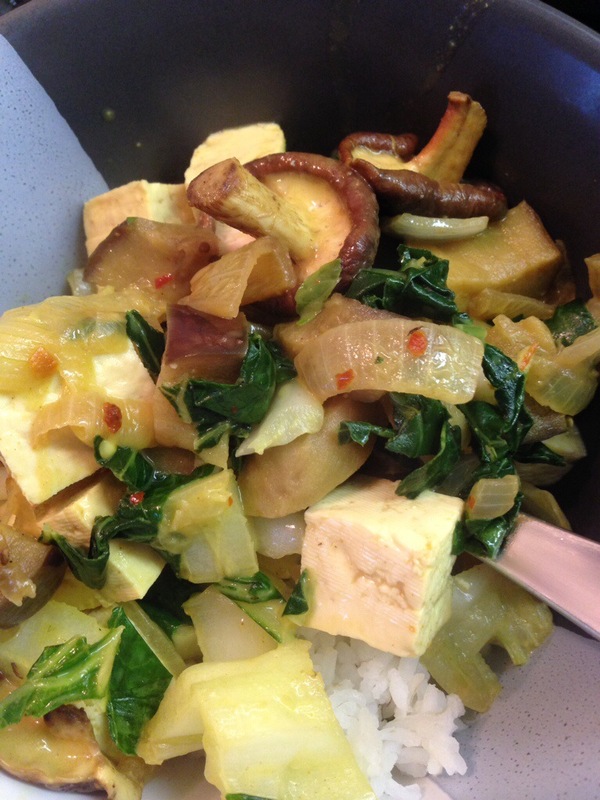 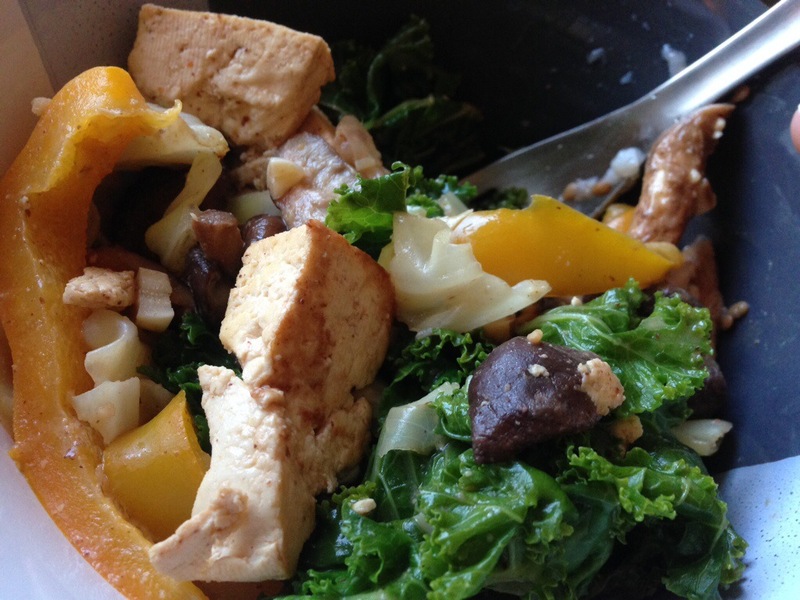 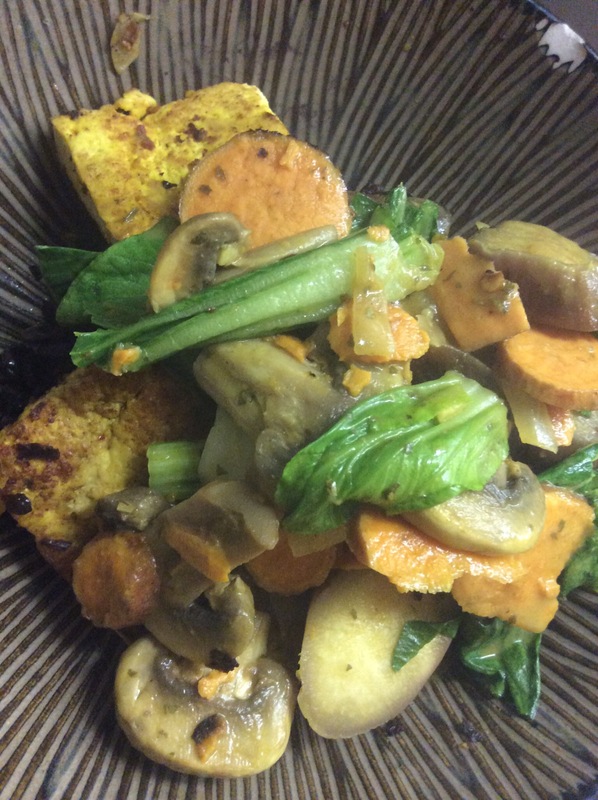 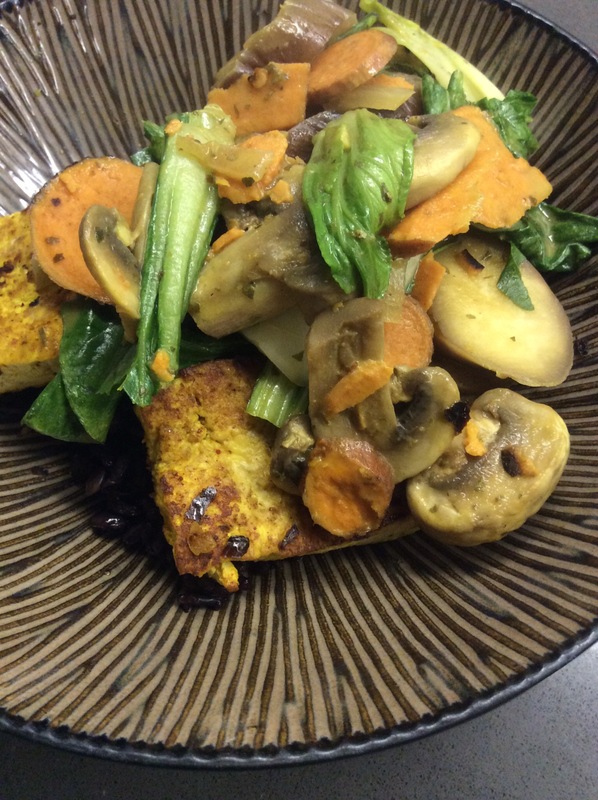 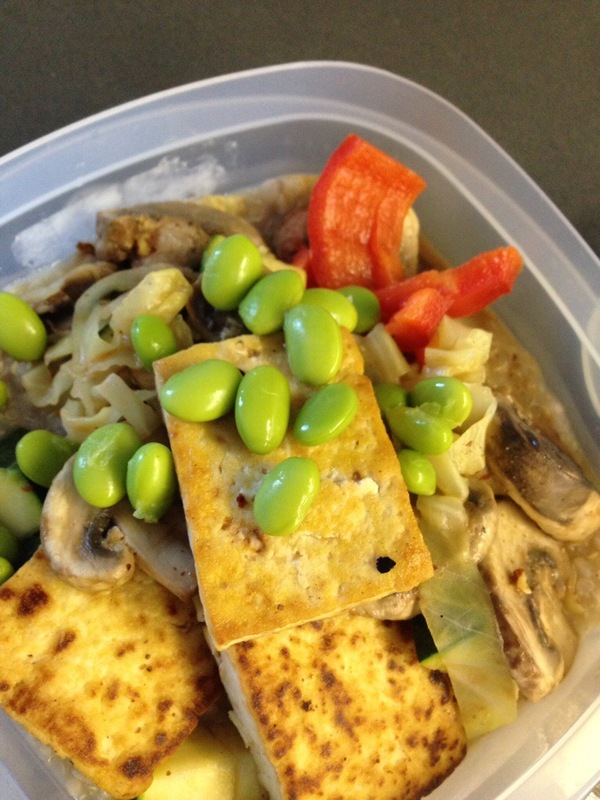 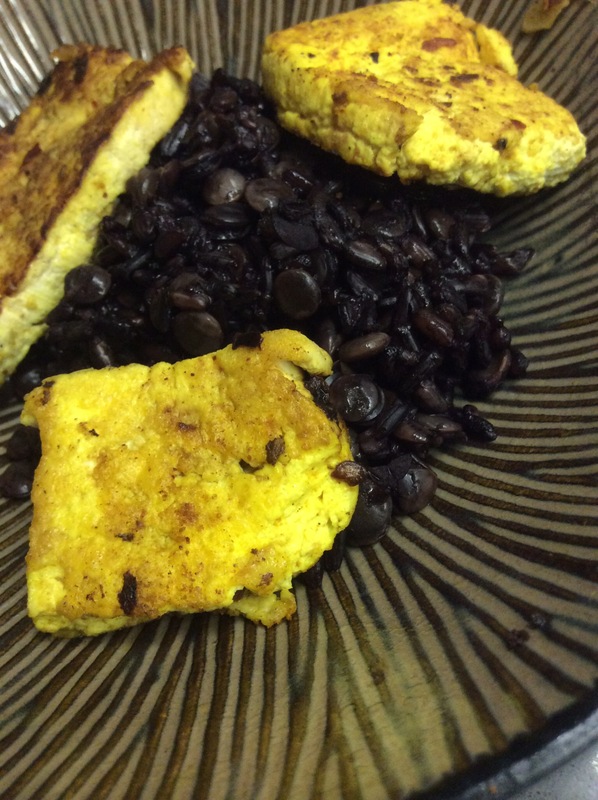 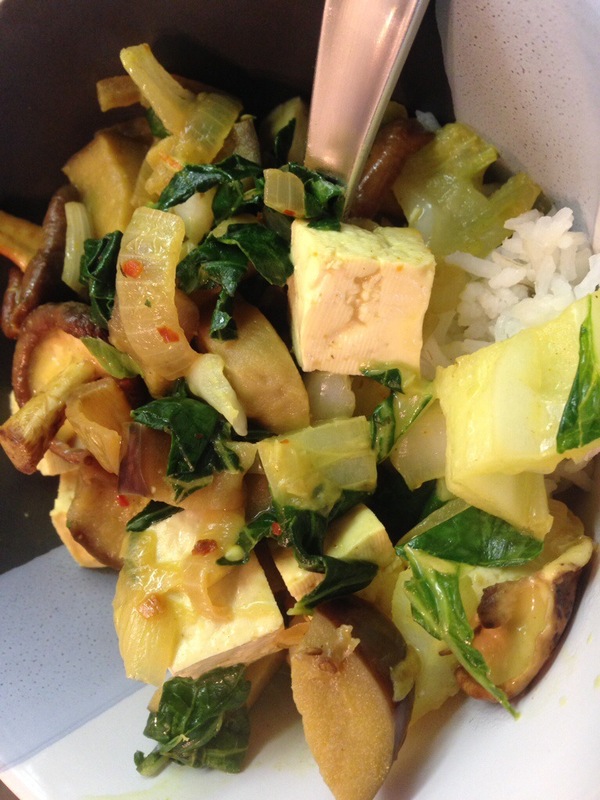 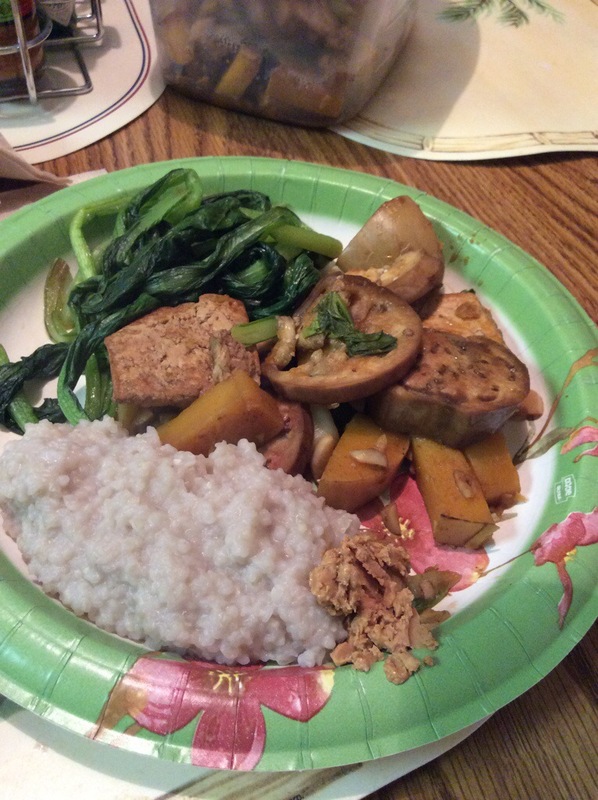 The yellow cubes of tofu got their color from using a combination of apple cider vinegar, liquid aminos, tumeric, and mustard powder for seasoning and cooked out separate from the rest of the veggies. 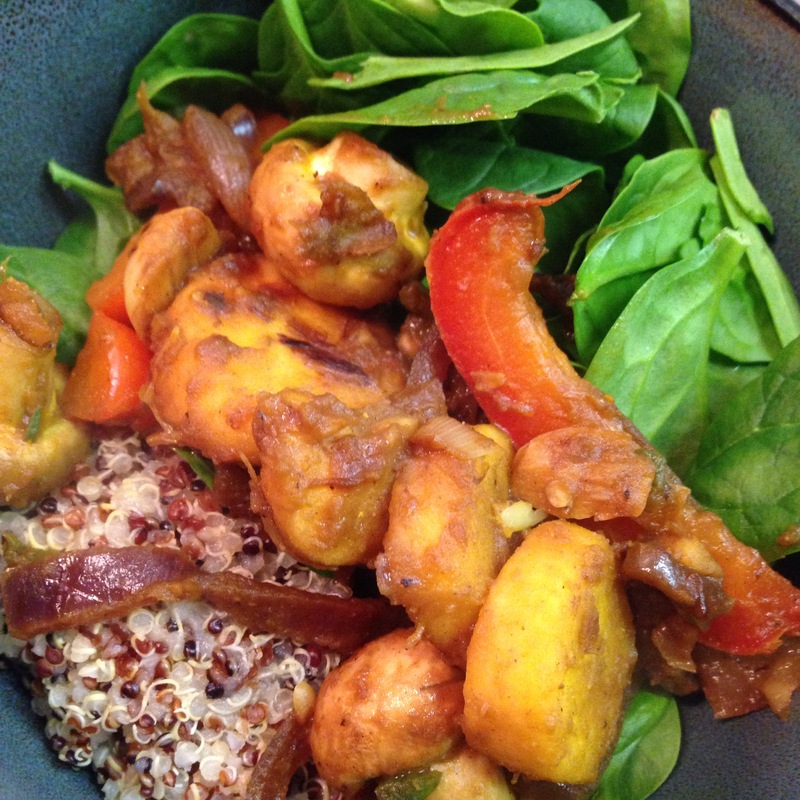 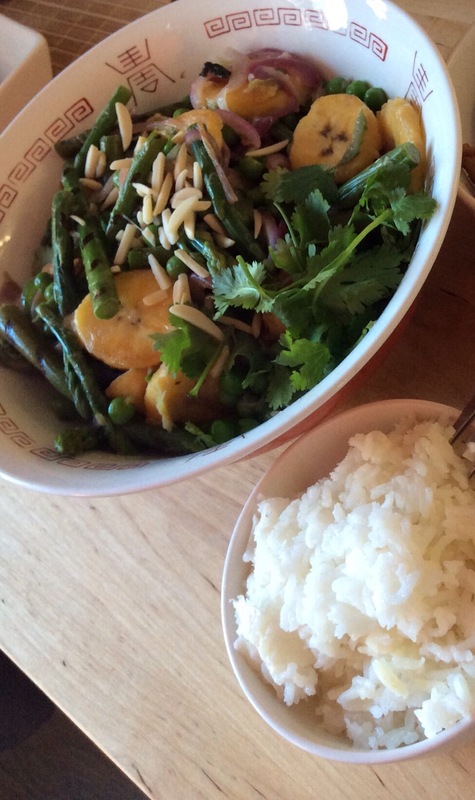 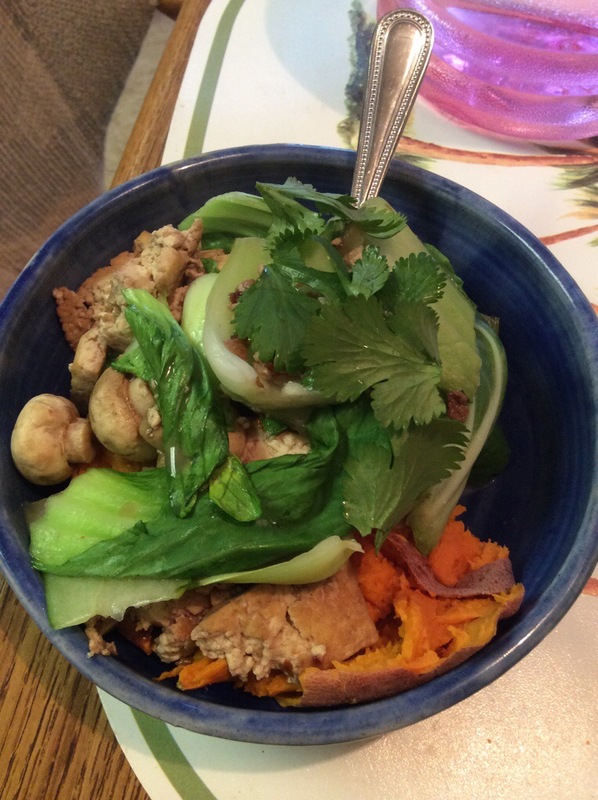 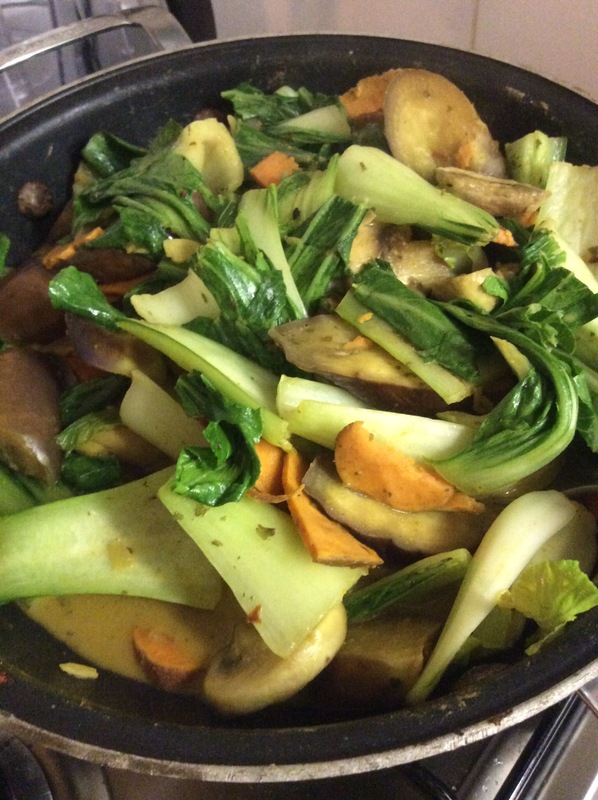 The rest of the veggies were cooked with my usual peanut sauce, recipe on my original bomb stir fry recipe page….